Construction begins this week in downtown Jacksonville on the first phase of the historic Barnett National Bank Building and Laura Street Trio project – announced today by developers SouthEast Development Group of Jacksonville and The Molasky Group of Companies of Las Vegas, Nevada. 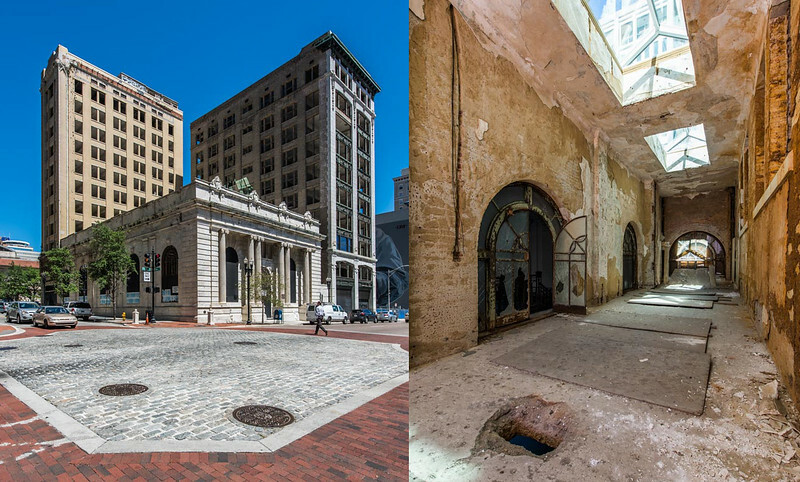 The $90 million adaptive reuse program will address the rehabilitation of the historic properties that are considered by many as the most significant group of historic structures yet to be preserved in the southern United States. Local construction management firm Danis has been contracted to perform the rehabilitation and new construction program. Much of the initial work will not be visible to the public, as the construction team will begin by performing interior structural remediation and improvements, including enhancements to the window systems, environmental clean-up and bringing the building to compliance with current energy codes. “We are proud to be part of revitalizing downtown Jacksonville and this project is a significant economic boost for our great city,” said Steve Betz, president of Danis. Working with the City of Jacksonville through a Public-Private-Partnership, plans for the project include a mixed-use program, featuring international banking, 145-room Marriott flagged boutique-style hotel, higher education, new retail and restaurants, along with over 100 residential loft apartments. 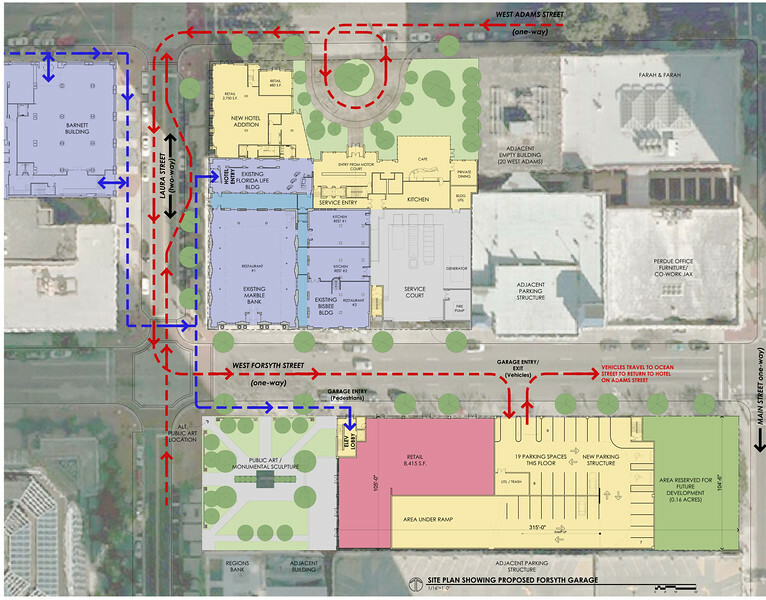 As part of the overall development plan, work has also started on designs for a new structured parking facility to be located at the neighboring surface lot on Forsyth Street. The new facility will accommodate a minimum of 550 secure parking spaces, as well as additional retail space at street level. Completion of the new parking facility is scheduled to coincide with the opening of the Barnett Building in the last quarter of 2018. “It’s incredibly gratifying to see construction start on this project,” said Steve Atkins, Principal and Managing Director of SouthEast Development Group. “After years of planning and preparation, the transformation of Jacksonville’s Central Business District is at hand. Rehabilitating these irreplaceable historic structures and bringing the properties back into service is a tangible example of how private investment and public commitment can achieve great things when leveraged together,” Atkins added. “Working together with SouthEast Development Group and the City of Jacksonville, we are extremely proud to begin this ambitious project that will truly be the crown jewel of downtown,” said Bradley Sher, CFO and President of Government Projects for The Molasky Group of Companies. 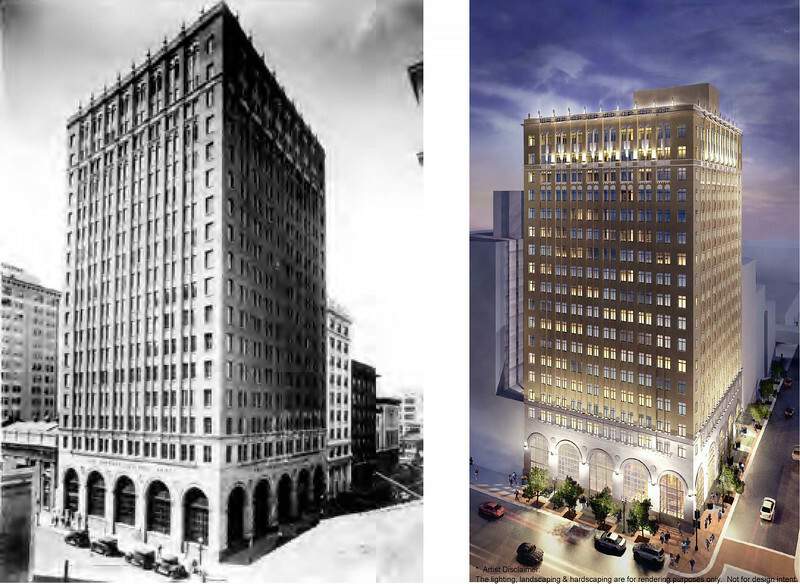 SouthEast Development Group of Jacksonville, Florida, and The Molasky Group of Companies based in Las Vegas, Nevada, are the developers of the historic Barnett National Bank and Laura Street Trio Buildings in downtown Jacksonville, Florida. The companies bring together expertise in complex real estate development programs, including new construction, historic preservation, tax credit financing and Public-Private-Partnerships. SouthEast Community Investment Fund, LLC is certified by the Community Development Financial Institutions Fund (CDFI) of the U.S. Department of the Treasury, to serve the Northeast Florida/Jacksonville MSA, including Duval, Clay, St. Johns, Nassau and Baker Counties.